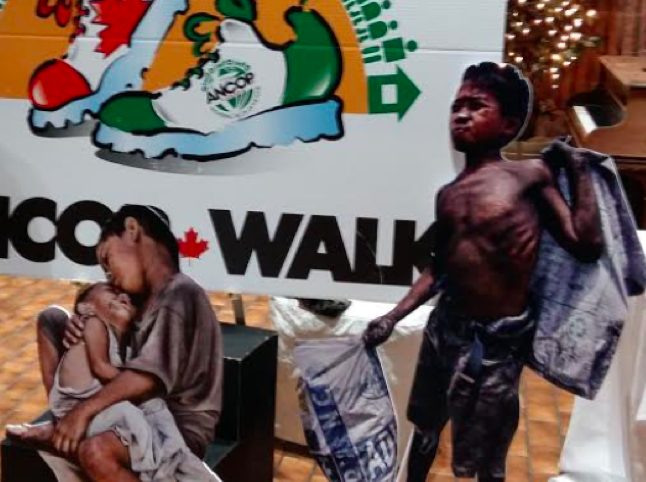 Cutout pictures of scavenging and homeless children greeted the participants in the ANCOP dinner Gala as they to enter the Rembrandt Hall in Scarborough. 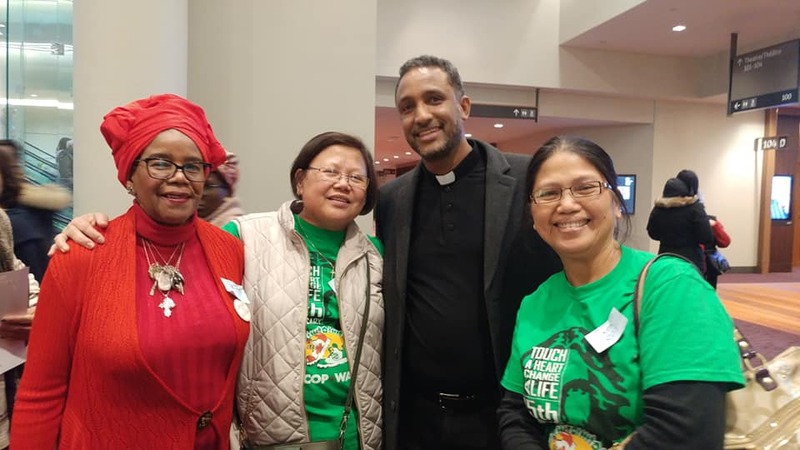 The Gala event last April 7, was to celebrate the 15th year anniversary of the annual ANCOP Walk which started in Vancouver and has now spread not only to 19 cities across Canada, but across many countries worldwide. 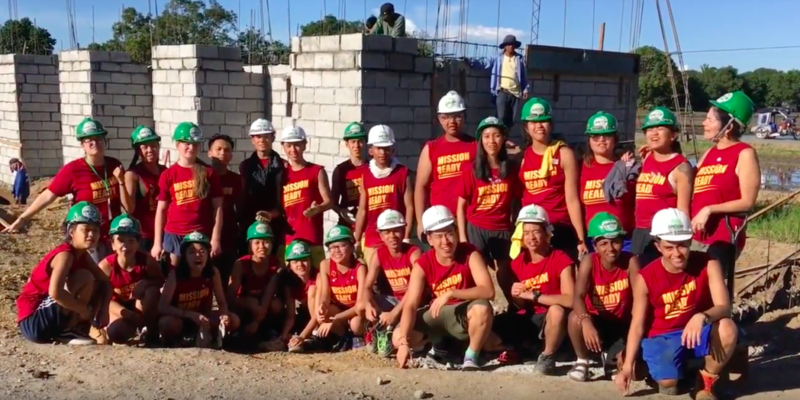 The rest of the week spent in Baliwag, Bulacan was spent building homes for the poor, sharing a Pinoy delicacy and a visit from the ANCOP Canada President, Ricky and wife, Irma Cuenca, and ANCOP Manila’s Manette and Raymund Acero. 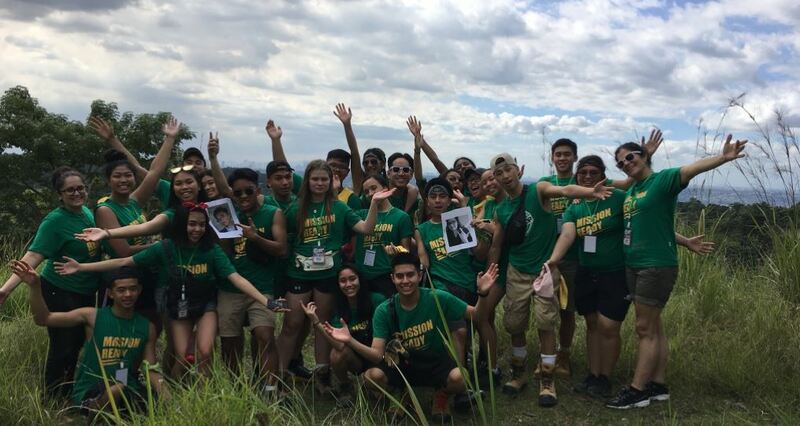 The highlight of any Immersion program is a week-long stay in an ANCOP Canada village. From Day 8-14, the 23 members of the Toronto Catholic District School Board (TCDSB) will be hosted in this first class city in a province just north of Metro Manila. 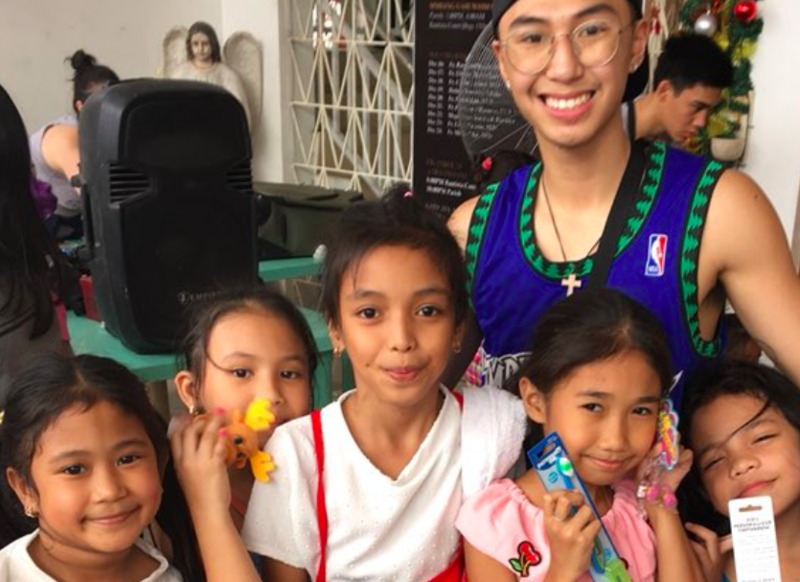 True to the its objectives of bringing glad tidings for the poor, the new year started with just that – a visit to an orphanage in Tondo, one of the poorest areas in Manila. 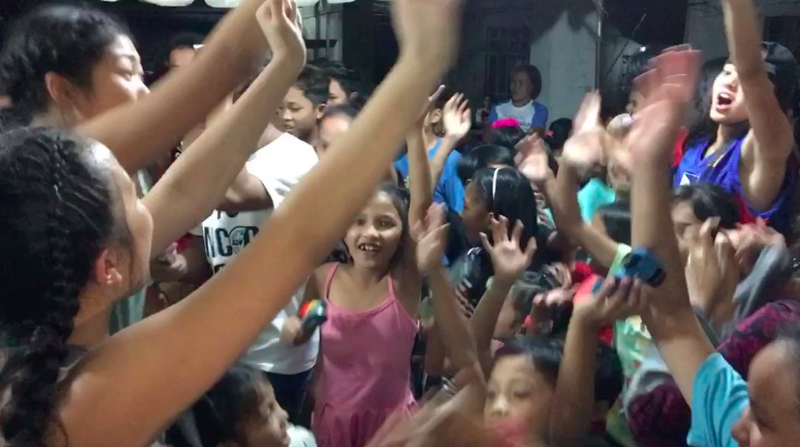 You can see the joy of both the giver and the recipients in this video. 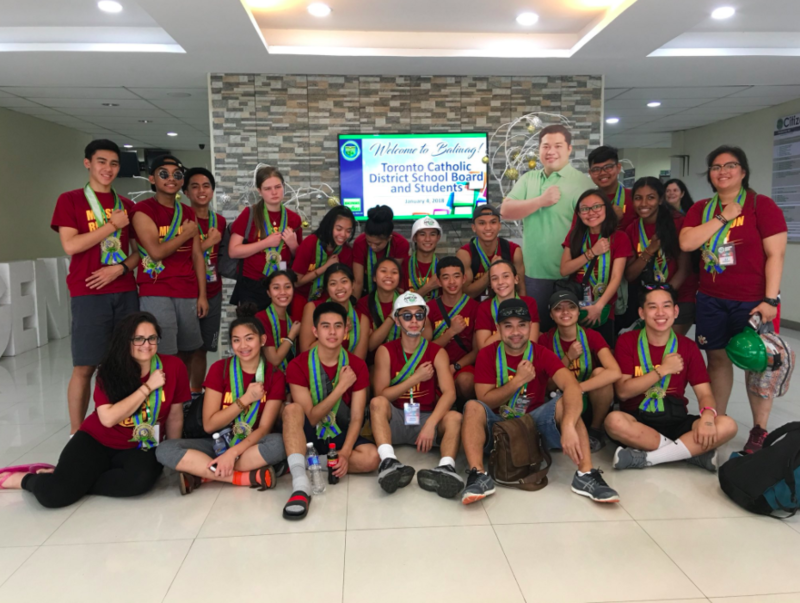 This is not the first time for Mike Consul, head of the Service Trip to the Philippines to visit Our Lady of Banneaux in San Mateo Rizal. He recounts that the huge multi-purpose hall wasn’t even the way it was last year. Last December 29, they arrive in Manila. Here’s a video to know more about the 7th delegation. Continue to pray for all of them. 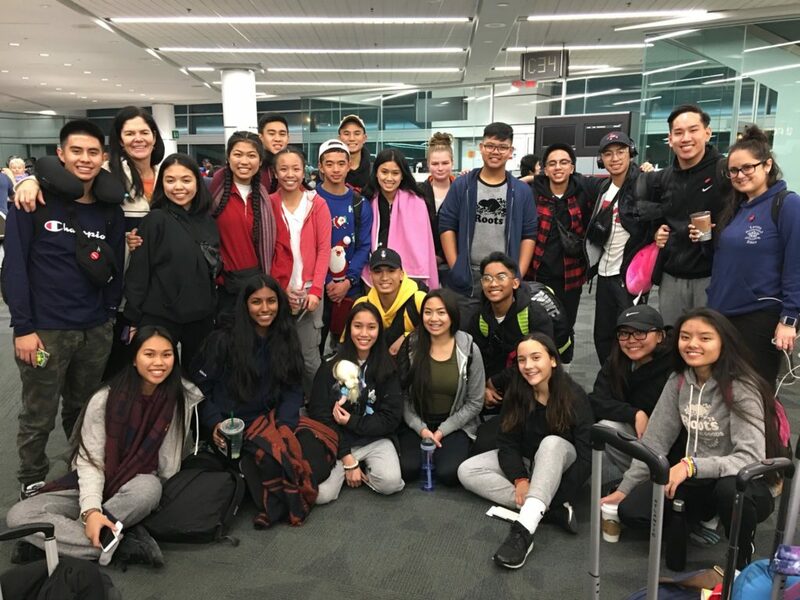 On their 7th year, 23 High school students and 3 teachers from the Toronto Catholic District School Board (TCDSB) are off to the Philippines to start their immersion and service program in ANCOP Canada villages.